Red & Black Volume 88 Issue 6 Jefferson City High School Jefferson City, MO. Do you have story suggestions for the Red & Black? Email us at RedBlack.JCHS@gmail.com, call us at 573-340-3715, or come stop by room J141. We’d love to hear your ideas or even publish your work. We accept freelance writers, photographers, and cartoon artists. Come be a part of your student newspaper. 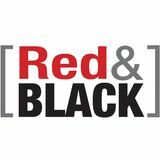 April 15, 2019 Volume 88, Issue 6 Red & Black is a student-led newspaper that serves as a public forum for the school and the community. Opinions expressed in the paper are not necessarily those of JCHS, nor the faculty, staff or administrators. Tuxedo rentals start at $89.99! Event: Reel Life Cinema: The Fish on My Plate Missouri River Regional Library, Wednesday, April 17, 2019 @ 7:00 pm - 8:30 pm. Free. Event: Thursday Night Live 200th block of High St, Thursday, May 9th, 7:00 pm - 10:00 pm. $5.00 for 13 and up. Event: Sound the Alarm Kick-Off; American Red Cross Community Kick-off Event 200-300 Block of High Event: Art Around Town (Gallery Crawl) 1507 E McCarty (Village Square) Friday, April 26th, 4:00 pm Event: Stars Under the Stars 2019- The Little Mermaid Ellis-Porter Riverside Park, Friday, June 7: “The Little Mermaid” 8:45 pm. Free. ollowing the trash audit performed by the green team, the school has decided to make some environmentally-friendly changes. As of next school year, the cafeteria will be reducing the Styrofoam usage during breakfast and lunch. Instead of using Styrofoam plates and plastic utensils, the school will switch to sectioned trays and metal utensils. This is a huge success for the Green Team, who has spent countless hours advocating for this change. The grantwriting committee is still advocating for trash and recycling receptacles side by side in the cafeteria and around school. and everything they have accomplished because of their persistence and passion. She also expressed her appreciation towards the school. “We are so proud of the school district’s efforts to embrace waste reduction, increase recycling rates and to shift people’s habits for the sake of reducing greenhouse emissions and thus mitigating climate change,” Fraga stated. 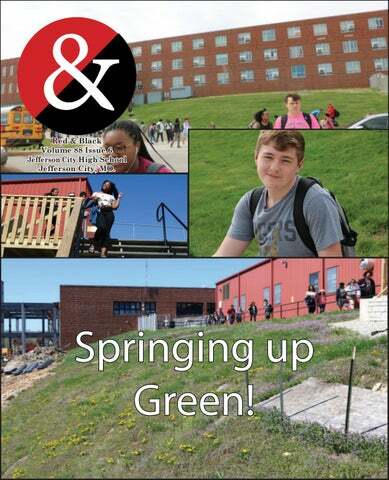 The Green Team is made up of students who strongly believe that small changes will make a huge difference. If you are interested in joining Green Team, contact Mrs. Fraga for more information. creates so much trash compared to the amount of product. This is being seen not only in PR, but in packaging in stores as well, to a certain extent. Brands that claim to be “Vegan” and “Animal Cruelty-Free” are some of the many big perpetrators when it comes to creating packaging waste. When interviewed and asked about this, an employee at Sephora who will remain anonymous said, “It shouldn’t be a problem, it should be about the product, not how much packaging you put it in.” Employees at Ulta were asked to comment on this topic, but due to the company policy, they were unable to give a statement. The makeup industry creates over 120 billion units of packaging worldwide every year, as told by Stylist, a widely used fashion and makeup news source. That amount of waste is enough to cover millions of acres of land with cardboard, plastic and non-biodegradable substances. There are so many unnecessary levels to what goes into a PR box. There’s wrapping around containers of moisturizers, creams and boxes as well as the countless layers of tissue paper and cardboard to hold everything in place for at most around 4-5 items. according to a study done by PLOS Medicine done in 2018. The passage of these bills speaks to a growing trend in America regarding our leniency towards the importance of vaccination and the compulsory need for them. Whether or not it continues throughout the rest of the country remains to be seen. arius Aftetat-Peckham is one of five seniors chosen by the National Student Poets Program to travel around the country speaking to students, holding workshops and sharing his poetry. Darius spoke about his admiration for Ross Gay, who writes about the small joys of life. He often writes about the complications of joy and sadness. Darius came to Jefferson City to share some of his work with students and hopefully put some delight into other’s lives. The Beautiful Day Dance Mornings, when I woke up, my face sagging, defeated, Dad would smile at me and wave his arms above his head, his legs kicking beneath him, a desperate flail but a chance to show that he could move his body as well as anyone--when the sunlight seemed to break and spill down his raised chin like egg whites and the chill bit into us both--he’d sing The song isn’t as important to me now as the beauty of the dance (and I’m sure the melody was a repetitious rip-off of Zippity-Doo-Dah, though sometimes we tilted our heads beneath the sky And just yelled it, despite the neighbors, dispelling Puff of warm air from our mouths as we screamed It’s a beautiful day, to the blue that filled the space Behind the clouds, to whoever was listening- to the Way I sweat at nights, Dad rubbing the wet T-shirt That clung to my back \, whispering, It’s all right, We’re okay over and over, like a chorus, the the broken Limbs and the deaths that rendered us, for a time, living memories, regretfully alive, but thankful that We could always spin ourselves around, arms spread spread wide To live and dance and) To sing anywaysTo sing always. n the 2019-2020 school year, JCPS will switch its start times (elementary schools at 7:45, middle schools at 8:50 and high schools at 8:40). This has left the student body divided over whether this change is for the greater good, or if it creates more problems than it solves. The factors listed below are some of the pros and cons of the upcoming start time change. Studies from the National Sleep Foundation show that the brain of a high school student is traditionally unable to fall asleep before 11:00 PM. This means that on the current schedule, most attendees of JCHS fall short of the 8-10 hours per night that are necessary for a high school age student to function properly. These new start times will allow students to sleep in an extra hour; this means that instead of sleeping from 11-6, most students can sleep in until 7 in order to get that extra hour that they so desperately need. A large portion of high schoolers drive to school. Many parents use this as an opportunity to save time and money by having their high schooler pick up their younger siblings. With the new system, this cannot happen and many parents will be forced to take off work to pick up their children or pay for afterIncreased sleep has many results; one of these school childcare. This proves to be very is an overall increase in academic performance. inconvenient to any parent who does With a start time that is delayed by just one hour, not want their younger children students grades rose by an average of 4.5 percent, to be home alone. according to a study conducted by the University of Washington. Since a main goal of our school is to improve academically, these start times are a step in Many high school students work after the right direction. school. Oftentimes, their shift starts around 4:00 PM. With the new schedule, students will lose between half an hour to an hour of work time per shift. This can be detrimental to students who need as many hours as possible to pay for things such as vehicle maintenance, food and a place to live. This situation will most likely hurt the student body financially. verall, there are many reasons why the later start times can help or hurt students. There is no possible way for the district to please everyone, so this decision is bound to upset a large portion of students, but it will also help the others. Q: What made you want to join the culinary arts? A: Well, what made me want to join the culinary program was, I’m really fascinated with cooking. Like, cooking is in my family. My dad cooks, my brother cooks; it’s just a thing my family falls into one way or another. Q: How easy would you say it was getting into the program, was there any difficulty? A: No, there was not any real difficulties at all. If you have your priorities right with what you want to do, and if you want to go into the field, it’s easy to get in and it’s a really good program. Q: Was there any misgivings going into this? Like is this really what you want to do? criminal justice field for forensic scientists and this would be like a fall-back plan for me. Q: And finally, if you were to pursue a career in the culinary arts, what is your end goal? plan. When I got accepted that was our plan, that I would run the restaurant until he got all the certification and then I would co-chef with him. t’s important to note that prices of college depend on many different factors. They can differ depending on the type of college, what they specialize in, and the location. The cheapest cost for college is usually community -Usually more college where you can get expensive. you basic required classes out of the way. Besides that -All the money for community colleges usually student housing is typically due all at once. doesn’t require you to stay on campus because they don’t have housing. -Limited privacy at While other colleges times. might require you to stay your first year. The -Would have to following are just the flat downsize and get rid of rate for tuition cost, not a lot. everything is included. -Living on campus would allow a shorter commute to classes. -Utilities are included. -Depending on the scholarship, it might help pay for your student housing if you choose to live on campus. -Campus security. -Usually includes food vouchers. -Some colleges shut down the dorms during breaks so you wouldn’t be able to stay there. -Money is spaced out over time. -Utilities are not included (sometimes). -Some places don’t have a washer or dryer. -Can start building rent history making it easier to buy or rent places later in life. -More privacy. -If you decide you like the place enough, you can decide to stay there longer. -Could have difficulties with your landlord. -Be confined to a lease. -Pay for a place yearround. Q: When did you start enjoying art? A: I’ve done art all my life, but only really got into it around age 13. Q: What medium do you prefer to use? A: Copic markers are what I use the most. Q: What kinds of things do you do when you get artist’s block? A: Really I just doodle and search Pinterest until something catches my eye. There’s no perfect way to get out of an art block. Q: What kind of future are you hoping to build with these skills? A: I’ve thought of doing some kind of illustrative contracts with some children’s book authors, but as of now it’s just a bit of a side gig for me, and I’m fine with that. Q: Do you have any inspirations for your work? A: There’s no major inspiration, honestly. I follow a few artists online (DrawWiffWaffles, Draw With Jazza, Emily Artful, etc). Really my own style is a mix of the kinds of art I like, but it leans towards a childish illustrative look. Q: Have the programs and classes here at JCHS helped you develop your skills in any way to improve your artwork? A: JCPS has offered me a lot of practical help along the way for learning new skills. Personally, though, I think that JCHS has a restrictive way of teaching that just doesn’t work for me. Everything from restricting what materials can be used for certain projects to saying you MUST have an exact sample photo for whatever you’re doing has turned me away from the classes they offer. Have unique ideas that you’d like to see at prom? Buy TWO Spray Tans, get ONE FREE. People who would like to show off their unique talents. Help with set design. Help with props. Help with set up/ layout. Contact Ms. Lori Jobe for more information. your first choice? A: When I was 18, I was in college planning to be an English teacher. I had a great teacher my senior year in high school, and I loved the class. However, I couldnâ&#x20AC;&#x2122;t imagine being in a traditional classroom day in and day out. A neighbor of mine encouraged me to consider nursing, and the next day, I applied for a job at Jefferson City Manor Care Center. My NCC job allows me the opportunity to be in the classroom, but always with patient care in mind. of my career, my father-in-law was also terminally ill. These stressors made me question nursing as a career. However, when the NCC Practical Nursing Coordinator, Patty Francka RN, called with an OB Instructor Position, my love for nursing was restored. In 2001, I had the opportunity to move to the secondary program Health Science and teach students to become Certified Nursing Assistants. I love being back at the nursing homes. at nursing school? A: I was an average student in school, both high school and college. I had nursing skills from working in the nursing home, but the academics were hard for me. I had to take a semester off, because I had to take a Pharmacology class over. I just never gave up. I love to share that story with students! Never give up! elements of my subject with others; my content area is one that demands interaction with other minds. Literature, reading, writing - these make us human, and the sharing of them grows us as people. where it was at though. Whatever I chose to do for a living, my path needed to be one where I could find an epiphany. That meant both reading a great deal AND getting out there and having some experiences. and they tend to be there for you when you need them to help you with your next stage. Teachers are not just people who work in schools; they are aunts, uncles, friends. You, yourself, might find you are a mentor to another. are gratifying. I want to bring the best opportunities my content offers to open up new views to my students. with students. Every year - every day, really - is an opportunity to improve as a teacher and as a person. This job offers endless possibilities to reflect and improve at teaching, learning, and just being a better human. Your 2019 Mr. JC winner is... Brock Johnson! ompetitive video games, also called Esports, is an activity that is growing in popularity around the world. The prize pools for large tournaments grow larger each year; the last worldwide tournament for “League of Legends” had a six-milliondollar prize pool. Since Esports is a quickly growing industry, many colleges are implementing Esports teams and they are in need of players. This means Esports scholarships are very commonly received by students because of the high demand for players. We introduced an Esports club at JCHS last year, and every graduating senior in the club was offered a scholarship by a college. Since that time, we have introduced teams for “League of Legends,” “Overwatch,” “Hearthstone” and “Super Smash Brothers.” Like any sport, playing on a team requires teamwork, mechanical practice, memorisation and communication. eSports Many people who play together within the club have become very close friends. The club is also a great place to develop connections to many people within the professional scene of gaming. We have the opportunity to speak and play with professional players and renowned coaches from around the world. These connections open future opportunities as well as help you grow as a player and as a person. We have the opportunity to attend invitational championships if our season records are high, and have had players on the Midwest college all-star team two years in a row. A few players are currently preparing to watch a professional match in St. Louis with their coach. Esports is a great experience for anyone who is interested in gaming, and is a wonderful place to meet new people. Events: 3200, 1600, and 800 meters. What’s the deal with people running VOLUNTARILY for miles on their own? This seems like a big question everyone has for long-distance runners. Here’s a quick insight on what distance track runners have to say about the reason they run. Events: 1600 and 800 meters. the hundreds of kids and staff members that showed up to support us was indescribable. In the championship game, the adrenaline rush was insane in that environment. It almost felt like a movie. We knew what was on the line and how hard we worked to get there,” Haarmann recalls the experience very brightly. The Lady Jays had a rocky start during the championship game, getting into foul trouble early and struggling to make shots that they usually made with ease. And by the time they started getting their rhythm, it was too late. “It was a tough way to end the season, but that game doesn’t define what an incredible season we had,” Haarmann states. Although the season didn’t end the way the team and whole Jefferson City community wanted, or even expected it to end, this season is going to be remembered by everyone. long lasting debate exists in our nation about how much freedom we should give up for safety. The two competing sides both try to maintain the granted freedoms in the American Constitution with their position, but there is only one true answer that safeguards American freedom. That debate includes two sides: protecting each American citizen’s right to privacy and making necessary compromises to this freedom in order to prevent any potential threat. It’s completely understandable why someone would want to advocate for government surveillance such as this. Although it might prevent something like a terrorist attack, the aversion of a potential attack does not justify the blatant violation of the inalienable rights that are granted to each individual citizen. People should have the right to communicate with one another over the Internet or through cellular communication devices without the fear that a government agency might be spying on each conversation that they might have. That being said, there is merit to monitoring what people are saying in a public domain area of the Internet. For example, if someone is cyber-bullying another, or making death threats to another person on their Facebook feed, Instagram post, Twitter, etc, then they should absolutely face repercussions for their actions. Since these areas are available to be seen by anyone, it makes complete sense for the authorities to use this as reasoning for punishment. Public social media feeds can have just as much of an emotional and mental effect on someone as a public area, such as a crowded shopping mall can. That being said, private messages and private conversations should not be monitored by prying eyes in the name of “national security.” The Fourth Amendment of the United States Constitution guarantees that the right of the people to be secure in their persons, houses, papers, and effects, against unreasonable searches and seizures, shall not be violated. If people cannot even maintain the privacy to speak to others through the tools available to us, then we have completely ignored the constitutional rights given to all citizens. The day that we give up our own constitutional rights just to feel a little safer is the day that we surrender to our own fears. he idea that we should give up a large portion of our freedom to gain safety is quite ridiculous. These sacrifices tend to lead to the government over extending its reach by a large margin. One of the most extreme examples is Nazi Germany; where the government controlled all media and it allowed the government to gain almost complete control over the beliefs of its people. The reasoning behind this was to unite the people against a group that was, at least according to Hitler and the Nazi Party, the cause of all of their problems. In this, the Nazis were able to sneak in and chip away at the freedoms that are truly essential. At this point, the sacrifice of freedom for the sake of safety becomes counterproductive because the lack of freedom removes the ability to defend oneself, freely speak or have privacy. These freedoms are essential to having an individualistic and safe society. This is one of the most extreme instances throughout history, but there are modern examples as well. Modern-day China is an example of how an overreaching government is dangerous. The overbearing Chinese government heavily censors its media as a means of protecting the citizens from themselves. This government censors any and all media that conflicts with their point of view. This gives an “everything is fine” mentality to many citizens; when from an outside perspective, everything is obviously very not fine. Both the Chinese and Nazi governments are examples of what can happen when a government reaches too far to protect its citizens from real and non-real threats. In the United States, the conflicts between the people and the government become more common and more severe seemingly by the day. Whether it be the news that Facebook sells its users’ personal information to the government or that the government can see into our private text messages. The idea that media control is necessary for a safe society is simply untrue. The freedom of free speech is just too important to give up. ave you eaten chips, peanut butter, instant noodles or ice cream recently? Have you washed your hands with soap this morning? If you said yes to any of those, you have bought products with palm oil in them. And not just these, palm oil is in many everyday household items. So what is palm oil and why is it so bad? Palm oil is a popular edible vegetable oil made from pulp found in oil palms. Palm oil is used for thousands of food products, soap products and even biofuel. Palm oil is easy and cheap to obtain and good for you- it contains no trans fat making it healthier for people with heart disease and cholesterol. But, that doesn’t mean it isn’t harmful to the environment. In order to get the palm oil, rainforests are set on fire to make room for palm oil plantations. Slash and burn agriculture is a fast way to clear land and appeals to poor small-scale farmers and large corporations alike. This deforestation occurs regularly in Malaysia, Indonesia and Papua New Guinea. still contain palm oil. So most products from shampoo to some of your favorite snacks most likely contain palm oil. But if we all cut down on just half of palm oil products, farmers could get the message and change can happen. going to matter because the electors of Texas are nearly always going to vote in favor of the state’s majority vote. So, if you are of the minority opinion in your state, your vote means absolutely nothing even if your vote is the majority combined with the rest of the country. The electoral college set out to give a voice to the little guy, but completely throws them under the bus in the process. Our voting system shouldn’t value the individual opinion of each state because there isn’t such a thing as a state’s opinion. People have varying opinions within each state. We ought to value the majority opinion of the nation’s population as a whole. That is the only way to ensure that a Republican vote in New York has just as much value as a Democratic vote in Georgia. Head to Head Should we have a no cell phone policy? think phones should be banned in school. Students should be required to turn them completely off or check them into the office before school and get them after the school day ends. Phones distract students from learning and encourage cheating. When a student does not know the answer, he or she uses their phone to ask Google. The students then learn to rely on their electronic devices for the answers, rather than looking them up for themselves. Then the students lacks the skills to solve schoolwork and everyday problems. When it comes to testing, students will lack the knowledge they should have learned and will either fail or cheat. Distracting devices encourage students to avoid hands-on learning and studying. Phones access the internet for ideas, communication and cheating for answers. Phones also distract the students. Many teenagers love to text their friends and snap each other. In classrooms, students can verbally communicate with each other. However, virtual or digital communication can distract students. They focus more on their friends’ lives, instead of their class assignments. Students start testing on their phones and forget to finish typing or writing their assignments. “They get bored and check out and go to the phones for comfort. Then they fail to follow instructions or are late in producing their work because they must receive prompts,” said one teacher in an anonymous survey. Most research backs up what teachers are saying about cell phones in the classroom. “Research clearly shows that they are a distraction and interfere with successful learning, and because research shows that “multitasking” is inefficient and destroys quality,” another teacher said in the anonymous survey. Without phones, the students could excel in school. Teachers who teach regular and lower classes have said that the students that have lower grades are on their phones all the time. The students with higher grades usually either do not have a phone or they are not on their phone during class time. Without phones, students are less likely to get distracted and forget to do their school work. Without phones, students will get their work done and learn the skills they need for school-work and life. he classroom environment is one that is very special. It’s a place that is designed for young minds to learn about important traits, skills and lessons that are going to help them for the rest of their lives. It’s important that nothing distract students from their teachers and the things that they’re learning because it could prevent the full retention of what they’re being taught. This is the primary argument for the banning of the use of smart phones and other devices while in the classroom. This reasoning makes complete sense. Modern smart phones can be a huge distraction for young people and could hurt the education that they’re being provided with in school. That being said, there is a possibility that the newly updated policy that would be put into place for the 2019-2020 school year would prohibit phones in more than just the classroom. Allegedly, phones would not be allowed in areas like the hallways and even the lunch room. This idea is absolutely ridiculous for many reasons. The biggest reason being that absolutely no one is harmed in the event that a random student decides to check their Twitter feed on the way to their next class. It’s merely a way to pass the time and doesn’t have any kind of negative effect on anyone. This is especially true while in the cafeteria. A lunch period should be time for students to wind down and take a break from their classes. If that means that they need look at their phone to do things like communicate or listen to music, then they absolutely should be able to. It makes complete sense to prevent students from using any sort of distraction while in the learning classroom because it actually does have a negative effect. The same cannot be said for areas in which diligent attention is not necessary. So, introducing a new district-wide policy that would prohibit the use of cell phones in the classroom is absolutely justified and would most definitely have a positive effect. But even still, it should not extend beyond this point. Administrators need to take into account the reasons that they would make this policy in the first place. If it’s to protect the learning of the student body, why would it reach to a place where learning isn’t affected? pider-Man: Far From Home is the first movie in the Marvel Cinematic Universe to follow “Avengers: Endgame” and it will certainly have a lot to live up to. In “Far From Home,” Peter Parker (Tom Holland) and his classmates travel to Europe on a class trip. A group of elemental beings begins to attack around the city, but are fended off by Mysterio (Jake Gyllenhaal). It will be interesting to see how Mysterio’s character will pan out throughout the movie. “Spider-Man: Far From Home” comes out on July 5th and is sure to excite Marvel fans who are anxiously awaiting the series’ next outing. fter 2013’s “Frozen,” fans were left eagerly waiting for the second installment in the series. The sequel brings a new look to the series, taking place in the fall. The only released material at this point shows Elsa beginning to gain control of her powers. It is safe to assume that this will be a major plot point throughout the movie. At this point, Disney has refrained from showing much more than the base announcement and almost all of the information about the movie is speculated. “Frozen II” is slated for a November 2019 release and more information should be revealed over the course of the year. tar Wars Episode IX is the final outing of the third trilogy in the Star Wars franchise. Other than the recently leaked poster and the information about casting, Disney has kept information about “Episode IX” very quiet. This film will hopefully give Star Wars fans a satisfying conclusion to the story of Rey (Daisy Ridley) and Kylo Ren (Adam Driver). With Luke Skywalker (Mark Hamill) gone, the series is set to take a new course. Without a trailer, it’s almost impossible to tell the course that a movie will take. Hopefully, we will get more information in the build to the December release. haven’t been covered. These animals are harder to obtain because while you can pay the fee for them, obtain the permit, and have a perfect place for them to live, the state still might not let you. One example of an animal you cannot own is a penguin. Because all eighteen species of penguins are protected, it’s unlikely you’ll see someone living with them. A bengal cat, while it might be lazy and domestic, is an animal you cannot own, according to Wildlife Services, because it is a hybrid. To find more information as to which animals you can or cannot own in the state of Missouri or the rules as to what is required to obtain different animals, look at the Animal Legal and Historical Center and the Animal Law information website. the mindset of making a large profit and making as many movies as humanly possible, prolonging the cash-printing cycle. Back in the Spielberg era, movies were made because artists wanted their story to be put on screen. Those movies had a genuine soul and were absent of the disgusting cynicism that is prevalent in our current blockbusters. I hope that there is a return to form soon. I’m tired of movies that don’t leave a lasting impact on me and I want to feel more than just the bare minimum of satisfaction when I’m watching movies like this. Make me feel something! Who said it? Match the teacher to the joke! Q: What’s the difference between Mr. Ganey and a savings bond? A: One will eventually begin to mature and make money. Q: Did you hear about the restaurant on the moon? A: Great food, but it lacked an atmosphere. Knock knock. Who’s there? Cow Interrupting cow wMOO! Itching to know the answers? Find out at jcredblack.com! same company, you have the reboot of “Fantastic Four” which is notoriously worse than the original iteration. So, with reboots/remakes, there is the needed and the unneeded. But when doing a remake, it should be warranted or else it is a waste. It can be a detriment more than an assist, while with a reboot, there should be a need and a large amount of time between iterations. Remakes can reintroduce old fans and help bring in new fans to a franchise. Reboots though, should be to revive something that was once dead, so to speak. Not to click the retry button like with “SpiderMan”. nowing which products work better for your skin type can help reduce the frustration when shopping. Taking care of your skin can be overwhelming with so many products that claim to help with acne, oily or dry skin problems. It can be frustrating when shopping for skin care products, especially if you don’t know what type of skin you have. There are four skin types, one of which you may have: normal, oily, dry or combo skin. A great step to skin care is cleansing the skin to remove dirt, oil, dead skin cells and other pollutants with a cleanser. For a cleanser, look for what skin type it’s made for, but some cleansers can be used for normal to oily skin types or some that are made for normal to combo skin. day. If you want to have your skin moisturized throughout the day, you can use a morning moisturizer, and some even come with sunscreen to protect your face from the harmful UV rays of the sun. If you want to moisturize your skin throughout the night, use a lightweight moisturizer. It is also good to keep in mind that a cream and a lotion are not the same thing; a cream is usually heavier than a lotion and have a bigger concentration of oil than a lotion. If you really want to get rid of dead skin cells and remove excess dirt and pollutants, you can use an exfoliator. An exfoliator removes the older dead skin cells and are great for rejuvenating the skin and are great for clogged pores and acne. If you have dry skin, look for a gentle exfoliator, instead of one that would be made for someone with oily skin. If you want to tone and hydrate your skin, you can use a mask. You can also use face masks, which are great for hydrating the skin, remove excess oil, tone and can reduce the appearance of your pores. Usually face masks come in a package that do one or two things. The choice of a face mask really depends on what you want to focus on; for example, if your skin is drier than usual, you would want a hydrating mask. Taking care of your skin should be easy after knowing what product work best for your skin and a great way to save money while shopping for skin care products. Did you see a good movie? Read an interesting book? Hear a great song that’s stuck in your head? Stop by Room 141 with your suggestion. embraces its silliness and has a true childlike wonderment at its core. The film also has a genuine theme of family that manifests through the script. Commentary on “nature vs. nurture” and what truly makes a family is done incredibly well. Heart-warming topics such as this are rarely seen in the modern comic book movie and are a welcome addition to the movie. The weakest link in the movie is its development of the villain. Mark Strong gives a good performance, but the character’s motivation is weak and uncompelling. between the characters were hard to understand. In some scenes, such as the explanation of the “power” of the land, they brought up a myth of the Wendigo. Though this just seems to just be a wasted moment in the film when this creature is never brought up again. The acting in this film was belieavble at times, though overall there was a consistent level of character. The mother of the film, played by Amy Seimetz, showed a very true level of fear, love and mourning throughout the film. But for a reboot, “Pet Semetary” fulfills the viewer’s satisfaction in seeing a horror film. getting too exposition heavy or boring. DMC5 is a great game, and I think is a great step in the right direction for the DMC franchise, and is really refreshing since most big games this year haven’t been the best. The only real issues I have with DMC5 is that the camera is sometimes wonky. But, that’s a small complaint compared to the positives that this game brings. Are you interested in writing? Photography? Design? Join the Red & Black! Legends Bank Like what you read? Want more?